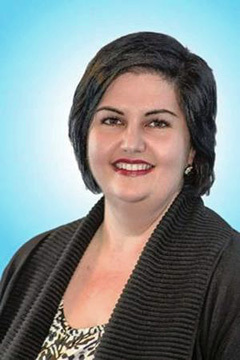 PARAMUS, NJ — Rosemarie Yaverian has worked within several Bergen County, NJ banking institutions since 1989 when she started her banking career as a Teller at Sovereign Bank. Quickly Rosemarie grew from Teller to Customer Service Manager due to her hard working ethics and commitment to her career. From there Rosemarie became the Vice President Bank Manager of both Interchange Bank and Bank of New Jersey where she managed the main offices along with many other daily tasks. Rosemarie’s career continued to grow as she soon became the Senior Vice President Branch Administrator within Bank of New Jersey in 2014. Besides Rosemarie’s continued growth within the banking industry she has also been an active member of the local Armenian Community. She has served as the Treasurer for the Armenian International Women’s Association, NJ Affiliate since 2007. Rosemarie holds a Bachelor of Science degree in Business Management from Rutgers, The State University of New Jersey. Rosemarie states that, “in joining Armenia Fund USA, I am honored to be a member of an organization, which works to strengthen the infrastructure and humanitarian needs, in both the Republic of Armenia and Nagorno Karabakh. Only by developing and supporting a strong foundation, can we build and sustain a brighter future. I look forward to supporting Armenia Fund USA’s current and future projects, and will do my utmost to guarantee its continued success”. ARMENIA FUND USA: Armenia Fund USA is dedicated to supporting large-scale, self-sustaining initiatives with the greatest potential for a brighter future for Armenia and Karabakh, as they continue to undergo social and political transitions. The Fund is primarily focused on sustainable physical infrastructure for the region and humanitarian and economic development for communities, families, and individuals. Armenia Fund USA is a non-profit 501(c)(3) organization under U.S. law. All donations are 100% tax-deductible.